Dr. Schryer became the CCG Chair from 1st April 2018. He has been a GP for over 28 years. He qualified from Manchester University in 1986 and has a long standing interest in medical education including undergraduate and GP training. In the past, he has run the North Manchester GP Vocational Training Scheme and was previously an Associate Dean at Manchester Medical School, he has also worked in a prison providing primary care services. He became Clinical Director for the CCG in October 2014, sitting on the CCG’s Governing Body and taking a lead on mental health, dementia and primary care. He is also the GP Dementia Lead for the Strategic Clinical Network in Greater Manchester. Jeff enjoys running, he is married with seven children, eight grandchildren and a ninth is eagerly awaited. Geoff Little OBE became the Accountable Officer of NHS Bury CCG from October 2018. The role is a joint appointment with Bury Council, where Geoff become Chief Executive in August 2018. The joint appointment supports the overall direction of travel for the CCG and Bury Council to become one commissioning function for health and social care. Geoff came to Bury Council from Manchester City Council where he fulfilled the role of Deputy Chief Executive since 2009. He is familiar with Bury having worked for the Council for a decade during his early career. Working within Manchester for over 20 years, Geoff has experience in a number of key areas including strategic development of children's, adults’ and education services, and supporting and implementing the devolution of health and social care. These roles have given Geoff opportunities to work with all of the Council’s services and with its public, private and voluntary sector partners. Margaret O’Dwyer is the CCG’s Deputy Chief Officer and Director of Commissioning and Business Delivery. She leads on a number of Greater Manchester wide workstreams and is Chair of Greater Manchester Directors of Commissioning. Margaret joined the CCG in May 2015. She has worked within the NHS for over 30 years and is firmly committed to the values the NHS stands for. Margaret has held various commissioning roles during her career, and has broad experience in many areas including contracting and specialised commissioning, primary care commissioning, independent funding requests, continuing health care and other primary care areas including dental and pharmacy contracts. During her time working in Salford she worked across commissioning and public health and was involved in the transfer of public health functions to the Local Authority, and in transforming community services. Margaret joined NHS England in 2013 as Deputy Director of Assurance and Delivery and became the Director in April 2014, here she developed the arrangements for CCG assurance at a time when these new organisations were forming. Mike Woodhead is NHS Bury CCG’s Chief Finance Officer. Mike joined the CCG in 2015 and has been in the role of Chief Finance Officer since 2016. He has worked in the NHS and public sector since 1986. During these challenging times in the NHS, Mike's main goal is to continue to strengthen the CCG’s and the Bury Locality financial footing as we navigate the complexities of integrated health and social care and the transformation agenda. A strong financial position is one of the foundations to delivering improved health and care services and outcomes to local people and Mike and his team are committed to helping make a difference. Catherine Jackson is the Executive Nurse (Director of Nursing and Quality) for the CCG. Catherine is a member of the Governing Body. Catherine continues to work clinically as a Nurse Clinician in a general practice in Stockport for two sessions a week, specialising in long term conditions, particularly diabetes and heart disease. Additionally Catherine is a Lay Member (Non-Executive Director) on the Governing Body for Wigan Borough CCG. Catherine qualified as a nurse in 1989, and before joining general practice, she worked in a number of areas including intensive care, specialist renal (kidney) care, transplantation and general medical nursing. Catherine studied for her MSc in 1999 at Liverpool University and became a non-medical prescriber in 2003, using this knowledge and expertise in both her clinical and CCG roles. Catherine has a solid track record of advising and influencing the planning and delivery of health services, and over the five years of working for Bury CCG has developed the Quality and Safeguarding teams to ensure that the CCG delivers its constitutional standards for quality, safety and improvement. Catherine’s teams support local providers, for example the hospitals, community teams and nursing homes in dealing with issues and improving quality including listening to patients, carers and staff to influence strategic commissioning decisions with a view to improving services and health outcomes for local people. Dr. Cathy Fines is a Clinical Director on the CCG Governing Body, she is also the executive and GP lead for safeguarding and the clinical lead for women and children within the CCG. Cathy completed her postgraduate medical training at both North Manchester General Hospital and at Fairfield General Hospital in Bury, and did her GP training at the Uplands Medical Practice. Having worked in the south sector for the last few years, Cathy has recently moved to work in the north sector at Greenmount Medical Centre. She represents NHS Bury CCG on Bury Children Safeguarding Board, Bury Adult Safeguarding Board and Bury Corporate Parenting Panel. Howard Hughes is a Clinical Director on the CCG Governing Body. His role for the CCG focuses on quality and infrastructure and he has recently taken on responsibility as clinical lead for QIPP. Howard is a community pharmacist, qualifying in 1984, he has worked in a number of pharmacy roles over the years from pharmacy manager through to being the owner of a chain of pharmacies. Since 1987 he has worked in Prestwich, currently fulfilling the role of Director and Chair of Prestwich Pharmacy Limited, and since 2006 he has been the Managing Director of another pharmacy in Burnley. In addition to his pharmaceutical interests, Howard has an interest in drug misuse and sexual health. He sat on the former Professional Executive Committee of NHS Bury until 2011 and has been Chairman of the Bury and Rochdale Local Pharmaceutical Committee for a number of years. Howard is a qualified Pharmacist Pre-Registration tutor and exam question writer. Dr. Daniel Cooke is a Clinical Director on the CCG Governing Body. A GP at Whittaker Lane Medical Centre, Daniel qualified from The University of Manchester in 2008 and completed his foundation training at North Manchester General Hospital. Before beginning his training as a GP, Daniel received medical training at Stepping Hill, University Hospital of South Manchester and The Christie and also spent a year working in cardiology and stroke medicine. Daniel first joined Bury CCG’s Clinical Cabinet in 2016 as the Clinical Lead for Elective Care, taking on the role of Clinical Director in November 2018 and within his portfolio taking a lead on mental health. Daniel has a longstanding interest in respiratory medicine, endocrinology, and older people’s care. As part of his role at Whittaker Lane he performs a weekly ward round at a local nursing home and is a tutor to fourth and fifth year medical students on GP placements. In addition to working in most medical specialties in a number of hospitals across Greater Manchester, Daniel has previously worked as a doctor at HM Prison Buckley Hall and with BARDOC as an out-of-hours GP. Peter is the Quality and Performance Lead (Lay Member). Peter started his career in engineering then moved to work for TUC union to promote workplace learning across the north west. He then became a parliamentary assistant working for a member of parliament and on a number of European funded projects in various EU countries and Kazakhstan. Peter was an elected member of Rochdale Council from 1982 to 1990 and a member of Bury Council until 2015. Peter has previously been Chair of the Health Overview and Scrutiny Committee for Bury Council and a member of Pennine Acute, Pennine Care and Greater Manchester’s scrutiny committees. David is the Lay Member for patient and public involvement on the Governing Body. He leads on patient and public participation matters. David’s role is to Chair the Patient Cabinet which is made up of a number of patient representatives from across the borough, representing the views of local people. David is the Senior Partner at Woodcocks, Haworth and Nuttall Solicitors in Bury, he has worked from the Bury office since 1991. He has a keen interest in patient and public involvement, a role he has experience in as Non Executive Director for Rock Healthcare (a GP Led Health Centre) in Bury. Fiona has a strong background in healthcare and law. Fiona started her career for the NHS over 25 years ago as a Registered Nurse and a Registered Midwife. Having developed an interest in the legal aspects of healthcare, Fiona undertook a law degree, qualified as a solicitor and practised as a clinical negligence solicitor in Manchester whilst maintaining her work in nursing and midwifery. Wanting to utilise her unique skillset for the benefit of the NHS, Fiona re-entered full time NHS employment in 2006 as Corporate Quality Manager at the Royal Bolton Hospital. Whilst in post, she has maintained legal practice as a solicitor providing expert legal knowledge on a range of issues including nursing practice, risk management, clinical negligence, mental capacity act, coroner’s inquests and serious incidents. Chris is a Lay Member on the Governing Body. He leads on audit, remuneration and conflict of interest matters. Chris was previously the Audit Chair for NHS Bury, a role which he fulfilled from January 2011 until the CCG took over leadership of the NHS in Bury. Chris has a career in financial services, being a Chartered Accountant and holds a number of directorships in energy, finance and horticultural companies. Chris brings with him significant insight and knowledge that supports the CCG Governing Body and hopes to make a significant contribution towards Bury becoming a healthier Borough with the first class health services that it deserves. Lesley Jones is the Director of Public Health for Bury, employed by Bury Council. As part of this role, Lesley is also a non-voting member of the Governing Body. Lesley’s career in health promotion started with East Dyfed Health Authority, moving onto East Berkshire and then Bolton in 1993. Lesley dedicated the next 20 years of her career to public health in Bolton, leading to her taking on the role of Deputy Director of Public Health for Bolton. She came to work in Bury as Director of Public Health, initially on a 12 month secondment, leading to a substantive appointment in October 2014. 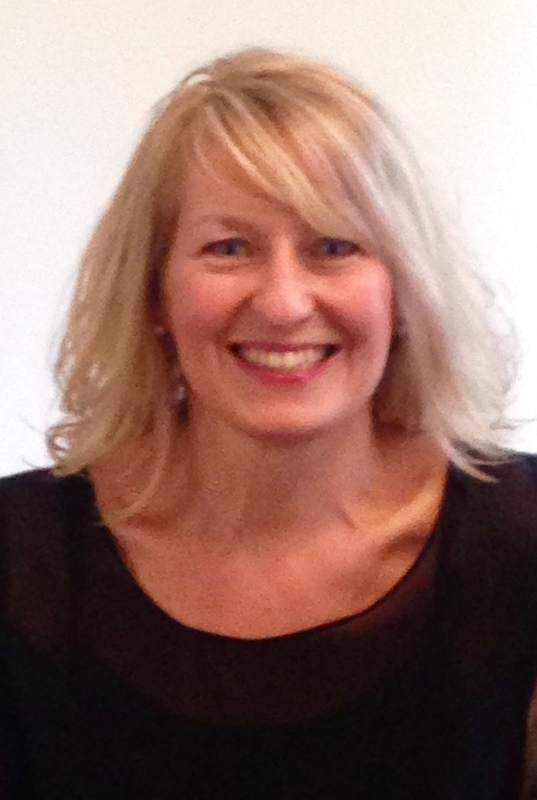 Lesley has an interest in all aspects of improving health and reducing inequalities. Local Authority (Bury Council) representative who is invited to attend Governing Body meetings, but is not a voting member.